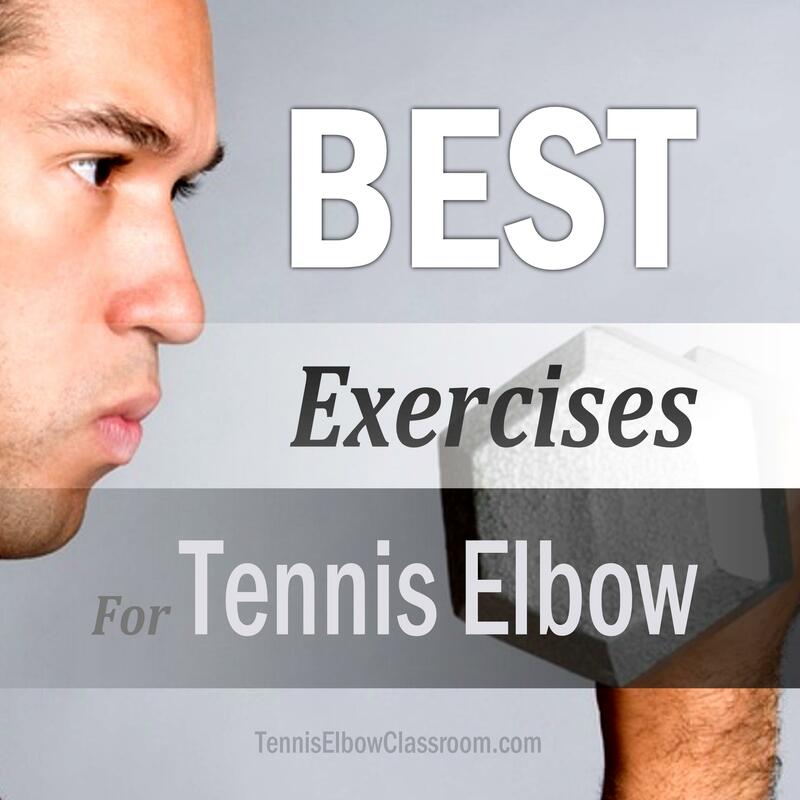 What Are The Best Exercises For Tennis Elbow? To make a full recovery from your Tennis Elbow injury you’ll need several key strengthening / rehab exercises. 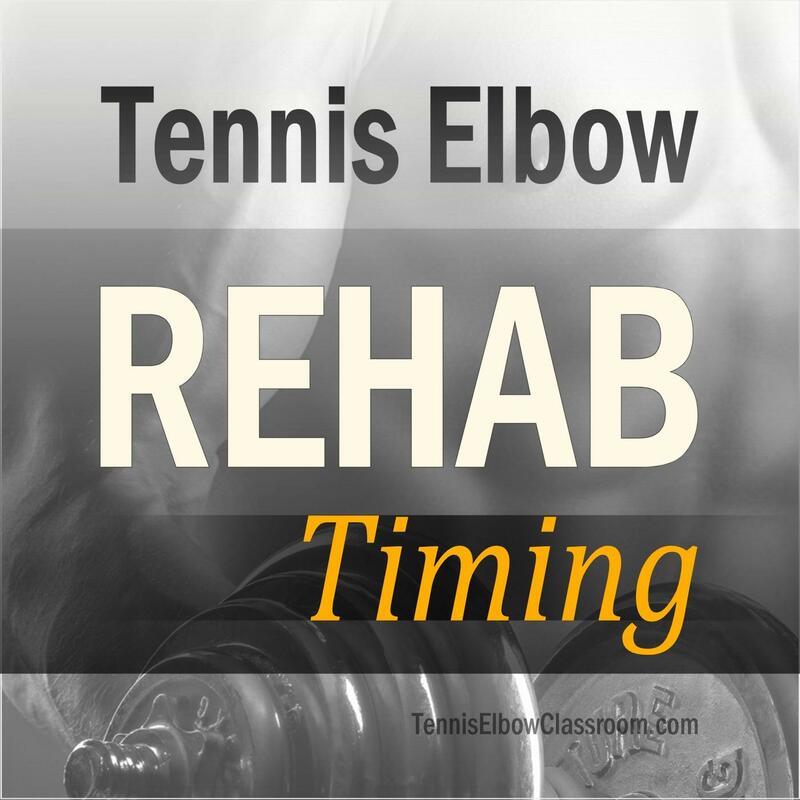 And in this episode, I cover the three best exercises for Tennis Elbow, which one(s) you should start with, and how taking a more indirect approach may be the best way to ease into your rehab. 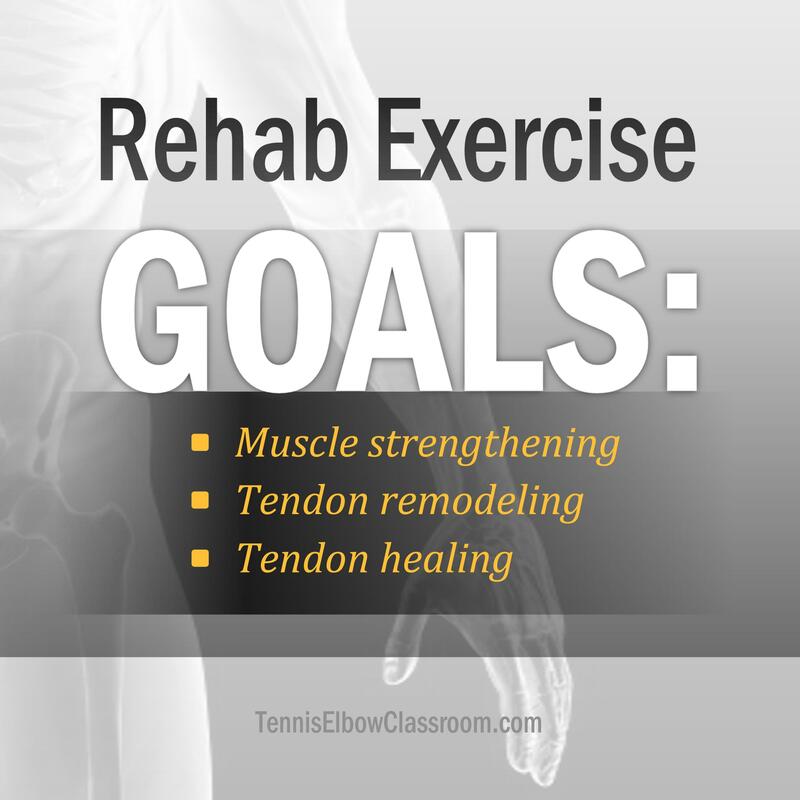 What exactly are the goals of Tennis Elbow rehab exercises? 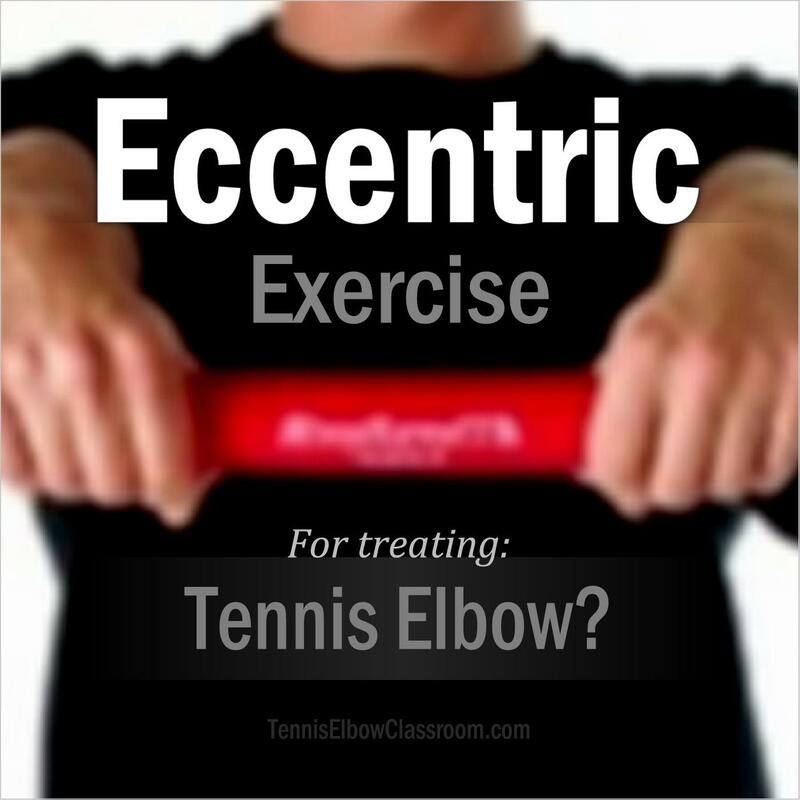 Are Eccentric Exercises The Best Way To Rehab Tennis Elbow? There’s a lot of talk about the idea of using ‘Eccentric Exercise’ in Tennis Elbow rehab – But can one type of muscle contraction be that much more effective in your tendon healing? Or is the eccentric approach (and the “FlexBar” rubber bar device often used to perform it) just another exercise fad? The exercises you need for Tennis Elbow rehab are easy enough to learn – The hard part is knowing when to do them. When done at the right time, exercises should help your recovery – But, done at the wrong time, they can make your injury worse, unfortunately! 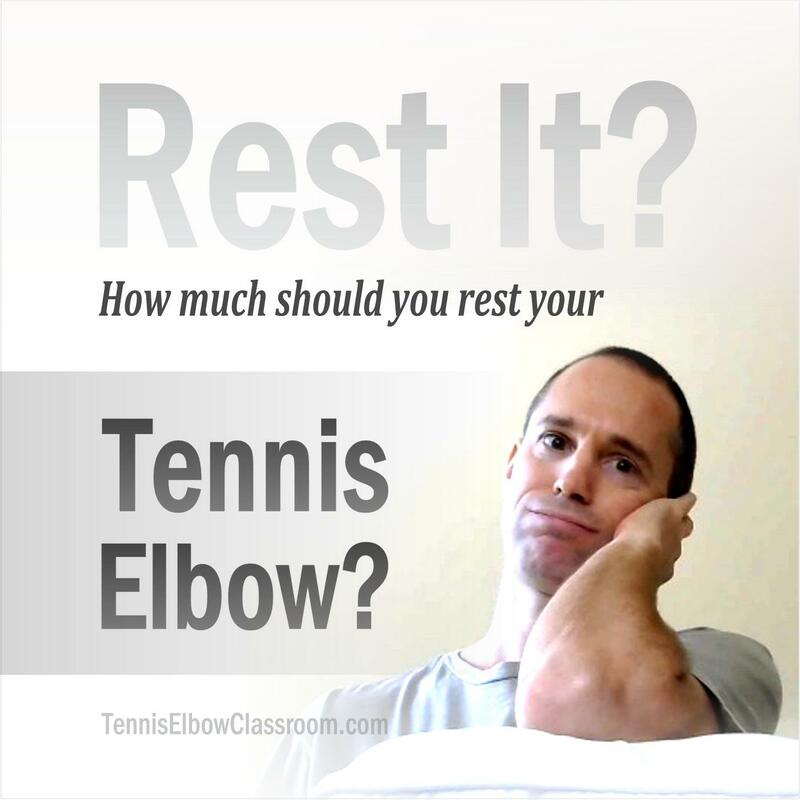 Do You Really Need To Rest Your Tennis Elbow? But, unfortunately, the idea that healing will “just happen” while you’re resting, hoping and waiting is a major misconception when it comes to tendon injuries.